I never made it to any of the prior shows at this venue since it was such a long drive and never convenient for my schedule. Then, there were no more shows and I regretted the decision never to make the drive. Well, every now and then, we get a second chance. I’m spending a lot of time at my parent’s house due to my stepfather’s health and I’m a member at Fusion Gun Range in Forney, so this time around Big Town is a convenient show. 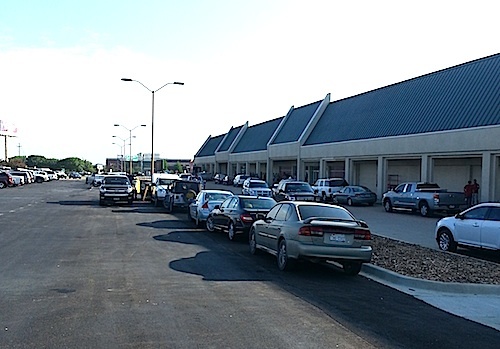 This is the first segment in a two-part review of the July 20, 2013 Big Town Gun show. I’ll cover the venue, show opening and layout, and the vendors in attendance in this post. As always with Premier shows, I purchased my ticket online and arrived about 8:40 AM. 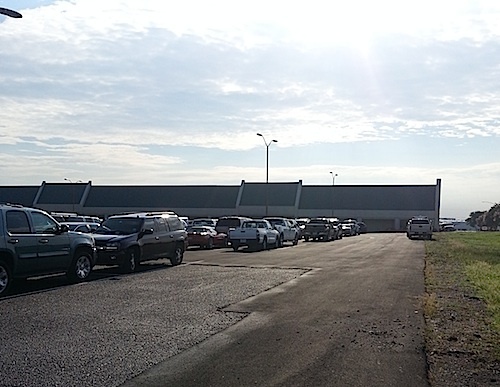 This shot was taken from the far southwest corner of the parking lot, which was nearly full when I arrived. It’s kind of hard to see the ‘Big Town’ sign in the background. 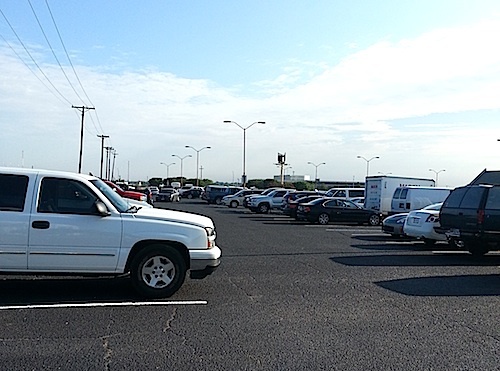 I did not see much in the way of parking around back, so many of the vehicles in the lot belonged to vendors. Here is another shot from the same location, looking directly north. 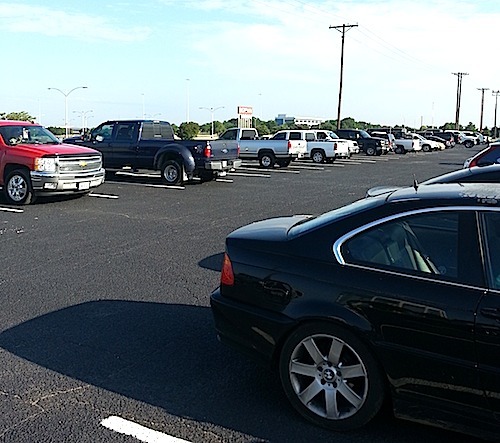 Again, pretty much full spaces across the lot. Here is the final shot from this location, looking towards the building (and, unfortunately the sun). There was already a pretty decent line developing when I approached the building, and I apologize for taking this shot too far away to clearly see the line. By opening, the line stretched well around the corner of the building. Since I purchased my ticket online, I was able to get my hand stamped and move into the online purchase line, directly in front of the entrance. 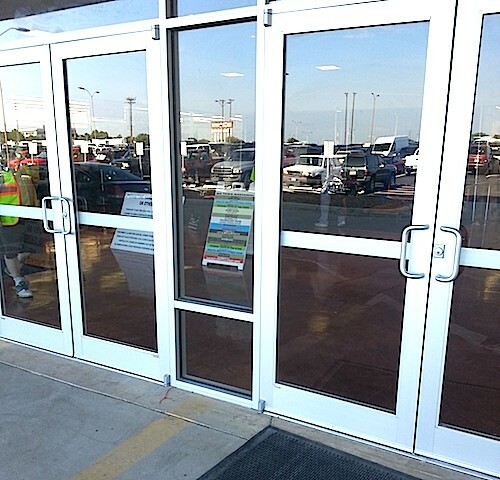 It’s hard to see with the reflections, but the sign in the middle is a schedule of events at the Big Town Center, which includes gun shows for the remainder of 2013. Premier opened the show a couple minutes early, and then we were vectored to the left into the event center. That’s kind of important since the layout is long and rectangular. The aisles were oriented along the shorter dimension, which gave the overall show layout kind of a maze-like appearance. There were a number of non-firearm related vendors (kind of like you would see at the state fair), all of which were positioned to the left-most end of the hall. According to Premier, the leftmost (from the front) 1/5 of the building is rented to permanent vendors that are not part of the gun show. It was difficult for me to see any signage indicating this even though I moved back and forth across that area. With a large show and so much stuff competing for visual attention, though, it’s easy to miss what some may believe is ‘obvious’ signage. I also talked with over a dozen attendees all of whom voiced the same issue, so it was not obvious to everyone what role these vendors played in the layout. These permanent vendors are not included in the miscellaneous category of the list. During my three hours on the floor, I noticed that there was very little traffic for the firearm vendors at the back, right of the floor even though there was very solid traffic at opening and people were still streaming in when I left around noon. ATM’s were available. Restrooms were located at the back-left of the floor. There were no formal concessions, but several food vendors and another vendor offered hot food (BBQ) outside.